I’m in a weird frame of mind today. The writing is going slowly–I’m coming to the end of a novel, and I always struggle with climax scenes and endings. I worry that I won’t do them justice. The other thing on my mind today is my father’s birthday. He’s turning seventy. Seventy is a rather prestigious number. We can kid ourselves about sixty–sixty’s not really old, right? But you really can’t do that with seventy. That’s getting up there. And then again I start to think about endings, and wondering how long I’ll have with my dad around before he moves on to other worlds. I’m thankful that I come from a long-lived family; my grandfather died at age eighty-eight. But I can’t help but think that time has become limited. It has to be cherished now, every day. I suppose on the other hand that thanks once again to the Baby Boomers, as a society we’re better able to accept that even as people grow older, they’re still contributing to society. Case in point: look how good Jane Fonda still looks. Not to mention the fact George Lucas is planning yet another Star Wars movie with the original actors. How old is Harrison Ford again? So I can feel good in knowing that while I may not like endings, nobody else really does either. Let the show go on, I suppose! 10079 / 100000 words. 10% done! I love waking up to a nice surprise. The surprise was to find a five star review on Goodreads from someone I’ve never met, saying that my book, Heart of the Witch, is now one of her new favorites. Yay me! The reviewer had won a paperback copy in the giveaway, but there’s no requirement for posting reviews, so I’m grateful for that. Then I had another surprise, one that I’m not quite as sure how I feel about. Shortly after the review was posted, I look on Amazon and find a used version of my print book being offered at a substantially reduced price. And it’s shipping from the same state where the giveaway winner is. So apparently she’s reselling the book to make a profit. On the good side, if she succeeds, my book goes to another reader, and hopefully they like it, and word spreads. This then hopefully leads to more legitimate sales. I knew when I sent out free copies that they’d likely get passed around, and that’s a good thing. Writers want there to be word of mouth advertising, and more readers finding you is a very good thing. It’s just weird to know someone else is profiting from it, since I won’t get anything from a used book sale. So a little good, and a little ambivalent, I guess. Yay me? Why is there a President’s Day? Have you ever wondered about that? I mean we don’t have a Supreme Court Day, or a Speaker of the House Day, or even a Nobel Peace Prize Winner Day. I think it is important that we have a day for remembering our veterans, and we’ve set aside a day to remember Martin Luther King Jr. and the contributions to society that he brought. But let’s face it. Few do much on President’s Day other than go to mall to check out the sales. We may hang our flag, but there’s also Flag Day for that. I even heard a joke about this on the radio today. “This is a low stress holiday–all you have to do is think of a president you liked.” I don’t think I’ve heard any mentions of parades celebrating FDR or even Lincoln, despite the plethora of Lincoln movies released recently. So that brings us back to the question. if nobody really does much of anything on President’s Day, why do we have this holiday? Some of us might remember back to when there were two dates in February–George Washington’s birthday on February 22, and Abraham Lincoln’s birthday on February 12. Celebrating Washington’s birthday as the first President of the United States dated back to the mid-1800’s, and later on, Lincoln’s was celebrated as well. They finally decided to have a day recognizing the President, and after much debate (like twenty years I think), the third Monday in February was selected because of those two great men having their birthdays in close proximity. So here we are. We seem to be past the days of recognizing heroes. How many people really think Columbus was a hero these days? Post MLK, has there been anyone worthy of having a day named after them? I can’t think of any, and no, not Reagan. Maybe Nelson Mandela, but that’s more an international thing than an American hero. But really, can you think of anyone? I don’t mean to sound cynical, but sometimes I can’t help but feel that way. I do think that both George Washington and Abraham Lincoln were great men and deserve to be celebrated. I’ll even go along with the idea of a day to recognize presidents, both past and present. But I worry that we’ve let our standards drop a bit since the early days of our country. It seems like nobody does great deeds any more. Maybe someone will surprise me. Until then, I’ll send a quick salute to our first and sixteen presidents (and maybe throw in Jefferson as well), then head to the mall. Finally was about to make my goal of writing 2000 words in a week–2006 for last week! Woot! 9373 / 100000 words. 9% done! I don’t have anything insightful to say today. And I’ve never really been fond of this holiday. But I’m a dreamer, and I can still dream of perfect romance. I can dream of that special someone who actually understands me, who shares the same likes and interests, and who isn’t critical of my faults. Yeah, big dreams I know. In real life we all have our own individual quirks and nothing is ever perfect. Personalities can clash. Husbands and wives can love each other and still nag or get angry. But i think deep down we all dream about that special someone who makes us feel warm and safe and loved. 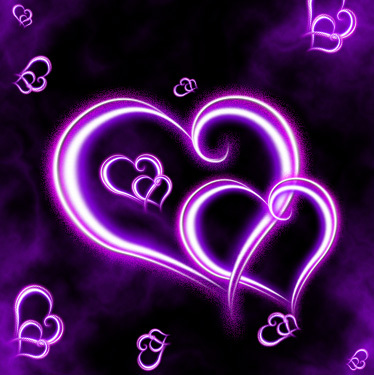 So here’s hoping the very best of romantic dreams to everyone out there!! So last week I broke my word and did very little writing but a lot of promotion. Included in this was sending out some emails to local small book stores and sending out physical books to the winners of my Goodreads Giveaway. I also wrote an article for another blog named “Ask David” which has a HUGE inventory of books where you can get highlights about the books you won’t find elsewhere. I have no idea if any of this will actually help sales,but I do believe getting the word out can only help. I also read a little free eBook from the founder of Smashwords, Mark Coker, which talked about a lot of different free ways to get exposure for your book. I uploaded a print release that I’d only sent out locally and put it up on PRlog.com. And of course I updated my book cover a little and tightened up my blurb. Now once again the waiting to see if any of this pays off, and the writing. My goal is to write well above my goal for this week. We’ll see how it goes. 7367 / 100000 words. 7% done! 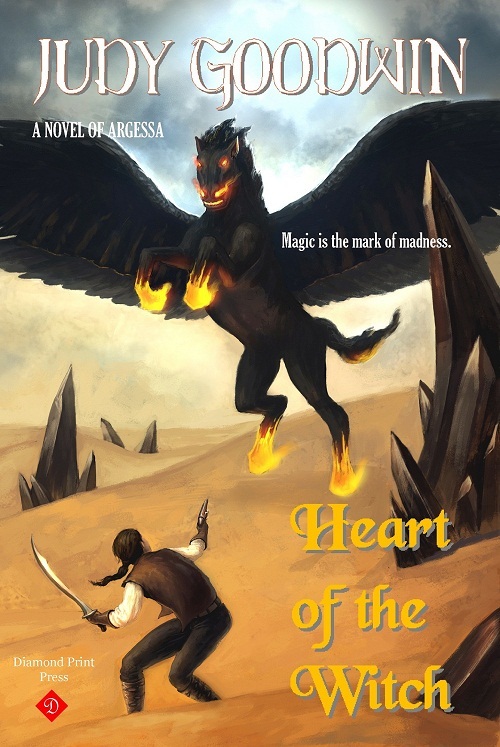 I submitted the cover of Heart of the Witch to the TheBookDesigner.com for their indie cover contest. While I didn’t win, I did receive a valuable comment–the artwork was good, but it was overpowering the title. When I look at the print book it actually looks fine, but I did notice that it’s hard to read the title when it’s a tiny GIF on Amazon. So I startled fiddling a little with it. I enlarged the title a little and played with the dropshadow to make it more clear. So just a minor change, but it does seem to make it more readable as a thumbprint size. I’m still fiddling with it, which might not be good, but as everyone knows, the cover is the first thing you see. Traditional artwork vs. photomanip for eBook covers? I’m starting to look at different artists for the cover of my next book, Journey to Landaran. This will be the first book of a planned five book series entitled “The Spirit Mage Saga.”. I’m still writing the last few chapters but I’ve begun the beta reading of the first part of the book and after my experience with my first novel, I’m going to start a lot earlier on the marketing. This means I need a cover. I’d love some feedback on one thing in particular. 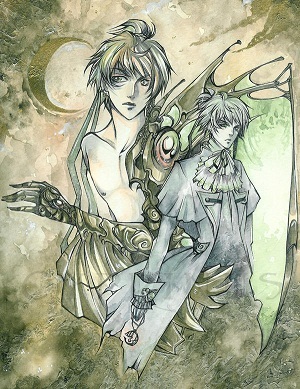 Traditionally, fantasy novels have used painted artwork to showcase the characters and settings. Scenes of castles, fights against monsters, or portraits of main characters have been common. Nowadays, however, particularly in YA fiction, I’m seeing a lot of photo-manipped images or photographs of the main character (typically a girl). Or the other alternative that seems popular lately is the solitary symbol, such as in The Hunger Games or Game of Thrones. Which do you think is more eye-catching and popular? I’m going to borrow a couple images from two artists that I’m considering. They’re both on Deviantart.com, and they have decent rates for commissions. 6612 / 100000 words. 7% done! Very close to my weekly goal last week–1902 words, just a little below the goal of 2000. Considering that I’m still having to take time off work to care for someone post surgery, that’s not too awful. Wish I could say sales are doing well, but things there have been rather quiet. I’ve reduced my eBook to $4.99 to see if that helps at all. I’m still debating the whole KDP Select and if that would help at all.